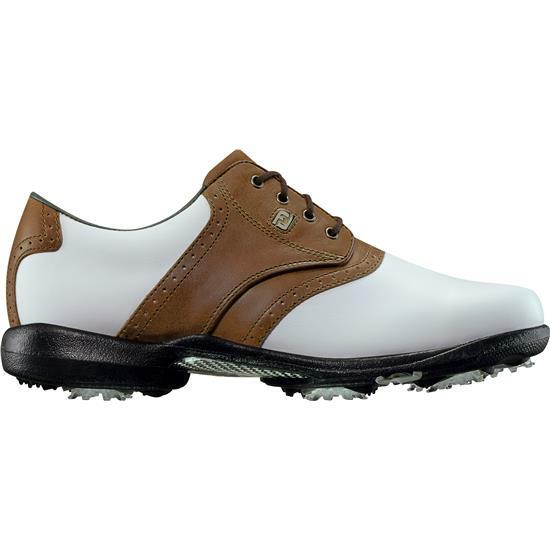 FootJoy Women's DryJoys golf shoes are engineered for incredible performance and comfort for a ladies foot. The full grain leather uppers offer incredible comfort and a great fit. The DuraMax rubber outsole gives you that stability you need on the course. You are about to post a review for FootJoy DryJoys Leather Golf Shoes for Women based on your knowledge of its playability. This review will show up under all variations of FootJoy DryJoys Leather Golf Shoes for Women, including new, personalized, and custom logo.